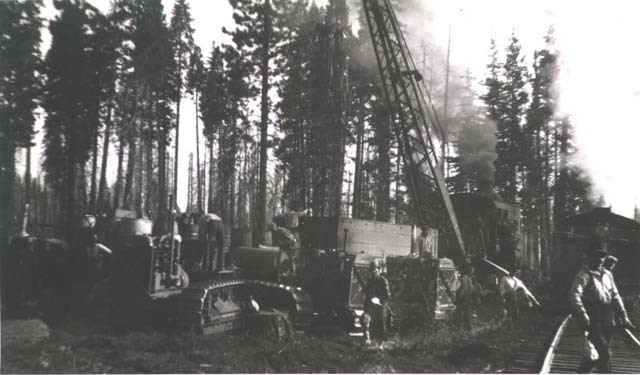 Below are some photos of miscellaneous equipment employed in the woods by the McCloud River Lumber Company. 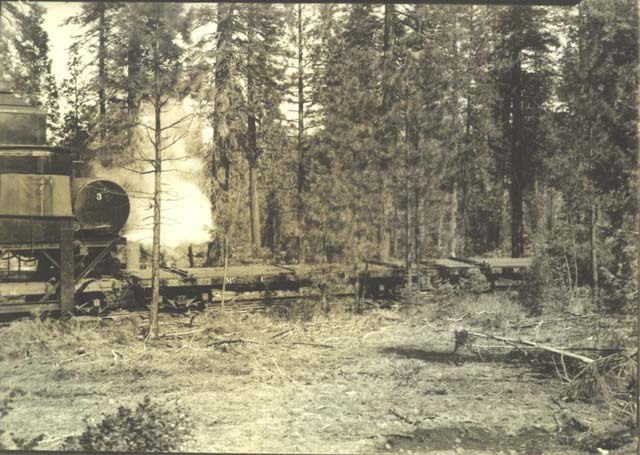 A Clyde Iron Works double ended log loader at work in the woods. 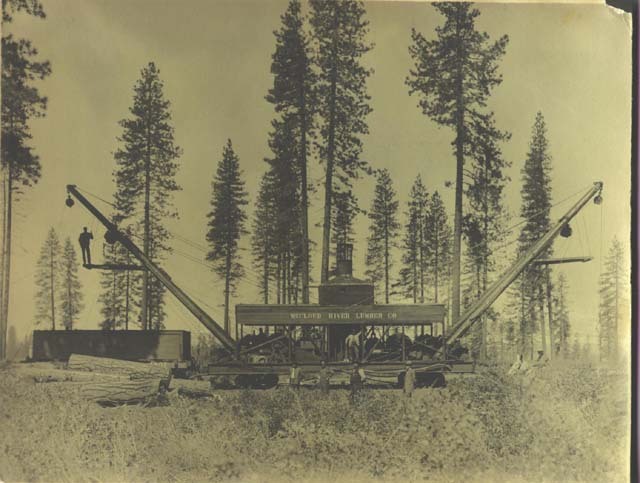 The McCloud River Lumber Company purchased this machine new around 1903. 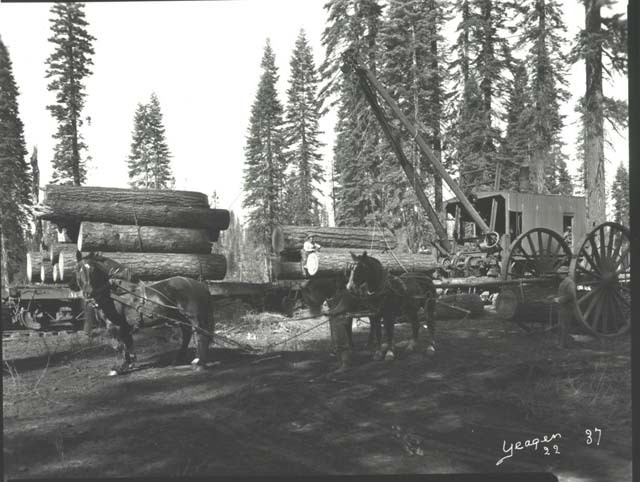 The McCloud River Lumber Company's Lidgerwood Skidder. 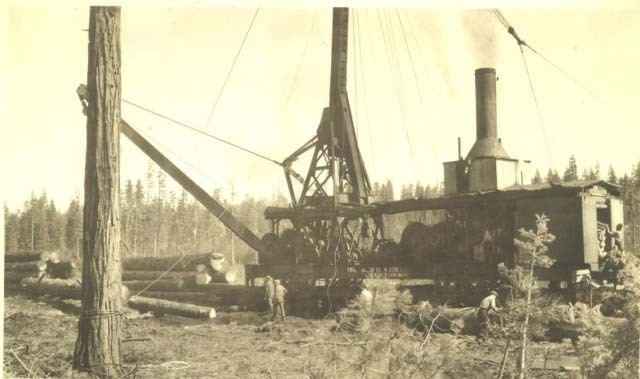 Lidgerwoods were impressive pieces of machinery to say the least, as it was able to skid logs into the landing using ground leads, the heel boom on one end of the car, and/or the portable spar tree. 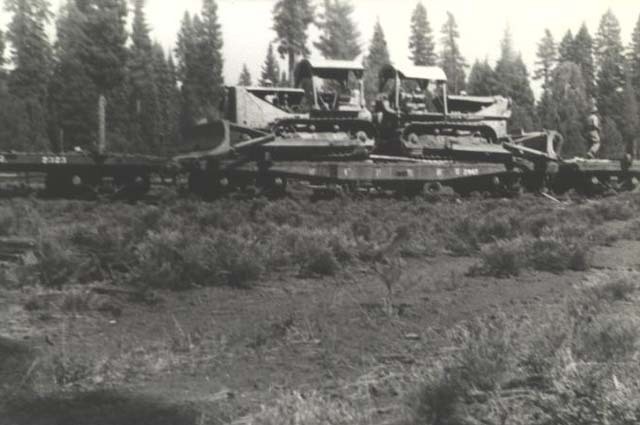 One of the lumber company's early McGiffert loaders. Empty log flats waiting their turn to be dragged underneath the McGiffert for loading. 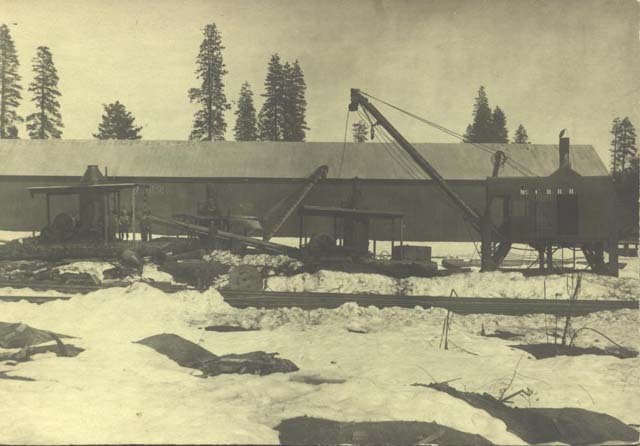 A donkey, two donkey loaders, and a McGiffert waiting out the winter next to the original railroad shop at the south end of McCloud. A couple early tractors, one of the steam powered cranes, and a wooden water car share this scene with one of the early small prairie-type locomotives. An early landing scene, with one of the McGifferts loading cars in the background. 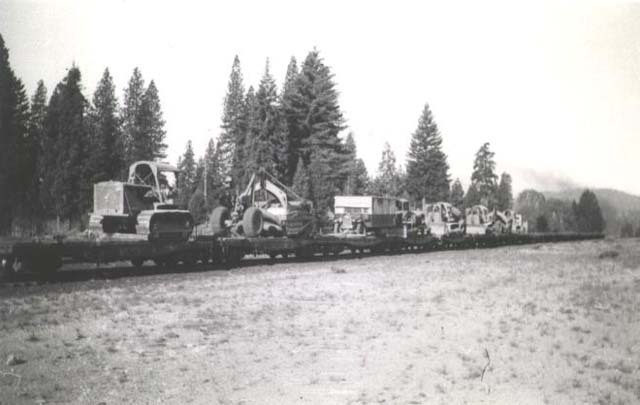 One of the early wooden water cars sits at the front of the string of loaded flatcars. Below are three pictures of grading and construction equipment moving to the next spur building job. 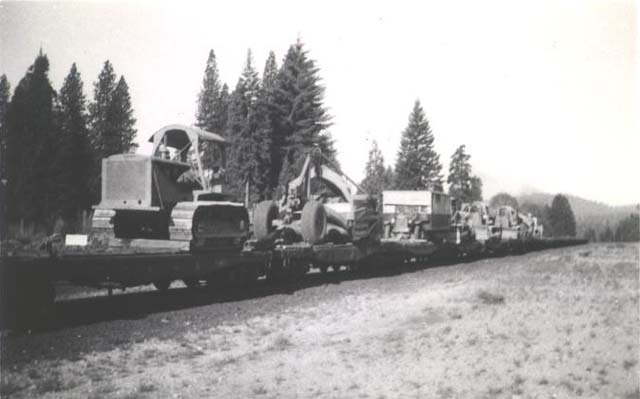 Norman Linn with the Heritage Junction Museum believes this photo dates to the 1940's, when the company started building the 400-series spurs in the Clark Creek country.